REVIEW – Online gaming is a red-hot commodity, especially with the emergence of the popular “battle royale” last-man-standing genre of shooters. KontrolFreek is here to boost your killstreak with their FPS Freek Battle Royale performance thumbsticks. How do they stack up? Read on to find out! 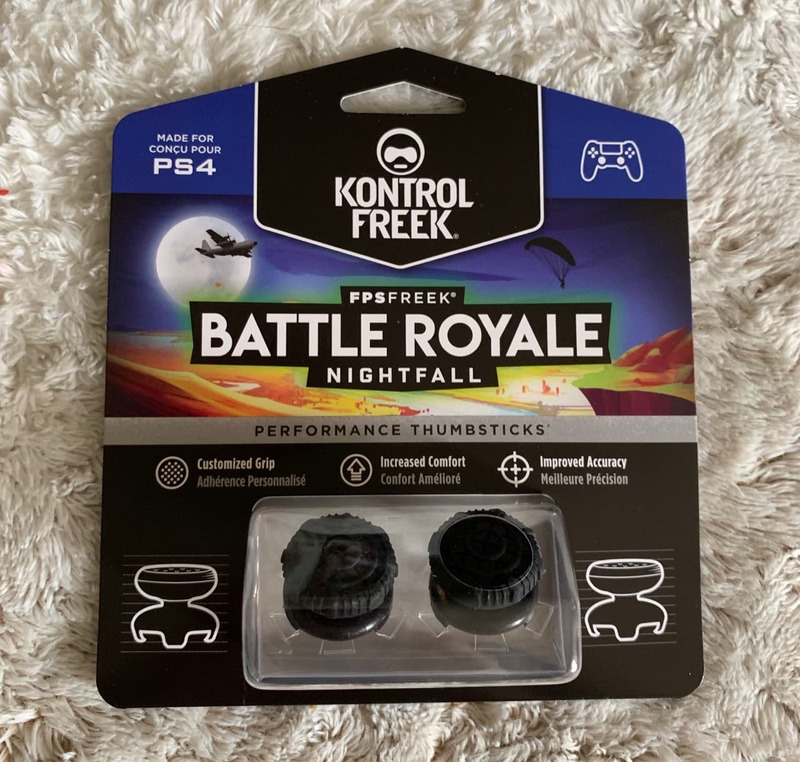 KontrolFreek’s FPS Freek Battle Royale Nightfall Thumbsticks (whew) are small, rubber grips that attach to the top of your Playstation or Xbox controller’s analog sticks, extending the height of them by nearly double. They are meant to offer more range of motion and better shooting accuracy for “battle royale” type games like Fortnite, Apex Legends and PUBG. 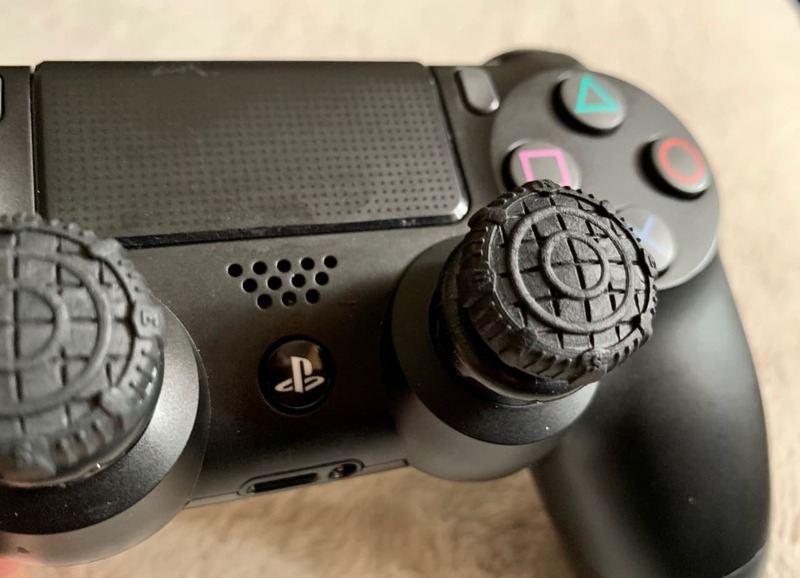 The FPS Freek Battle Royale thumbsticks double the height of the PS4 controller joysticks. I’ve been playing video games since the old Atari days, and they’ve sure come a long way since Pac-Man and Pole Position. The latest trend is the “battle royale” genre of last-man-standing shooters. It seems as though nearly every major publisher is hopping on this multiplayer online bandwagon. The rubber caps are rather comfortable, and if you look closely, they’re tiny compasses. For a skilled player, battle royale matches can last up to 25 minutes, requiring stamina and accurate, high-sensitivity controls. 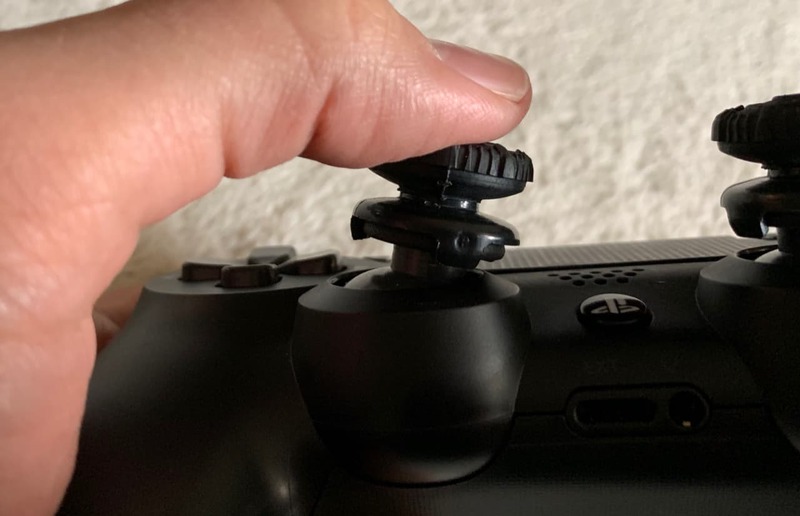 That’s precisely the type of action that the FPS Freek Battle Royale thumbsticks were designed for. 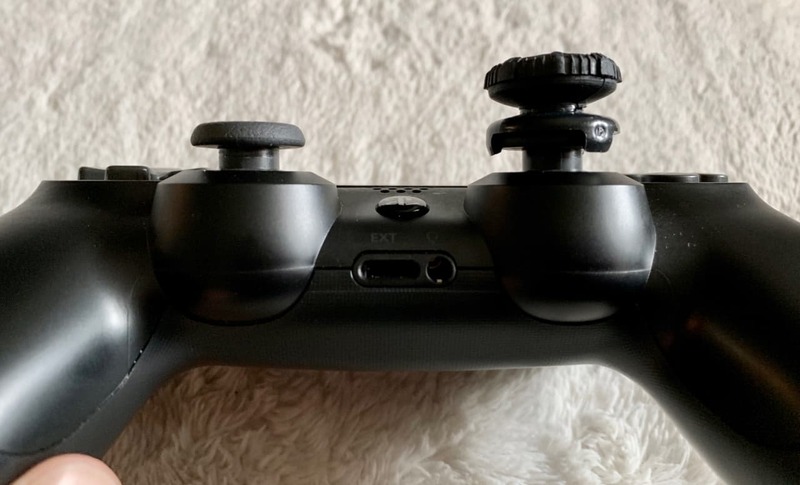 Basically, these thumbsticks, which are the tallest offered by KontrolFreek, attach to the existing analog joysticks, acting as extension caps. They offer extended height and grip, allowing for better control and comfort in extended play sessions. They have a very basic construction. Easy to place and remove. In many modern first person shooters, you can set the controller sensitivity to very high levels, allowing your character to turn and look around the screen very quickly. This is useful for fast aiming and split-second decisions, but it makes fine aiming at long and middle distance targets relatively difficult. 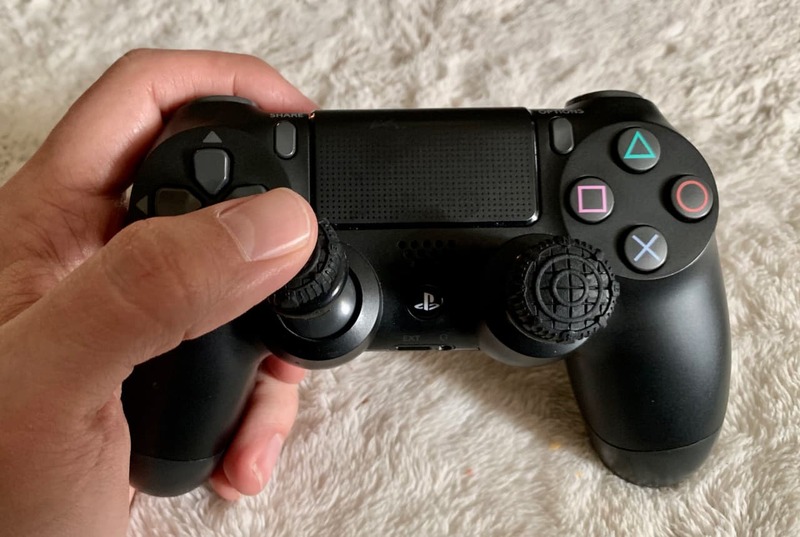 With the thumbsticks installed, the range of motion is increased due to the extra leverage. The extra height allows for better leverage and fine-tuned accuracy. I found it much easier for accurate aiming at faraway targets, whether looking down the sights of an assault rifle or through a sniper scope. And while I don’t find the Playstation controller uncomfortable, I very much like the position of my thumbs on these thumbstick extensions. It feels more natural to me, for some reason. It felt stranger going back to the default height than it did when I had first installed the extensions. I also liked the added texture of the thumbsticks vs. the roughened rubber feel of the regular Playstation controller. If you look close, the design is actually little compasses. Cute. I’ve got to admit, being 39 and not having loads of time to practice, I’m not sure if these thumbsticks actually did very much for my bottom line, so to speak. No Victory Royales or Apex Champion screens for me, today. But I definitely liked how the FPS Freek thumbsticks felt, and my accuracy was much better. I’d say that alone is worth the investment. After several hours, my thumbs felt just fine. Speaking of which, the price is about the only thing I could knock… $15 for a couple plastic and rubber caps is about $5 more than I’d expect. Very minor quibble. I think I’ll keep the FPS Freek thumbsticks installed, and I’ll keep practicing. And with luck, perhaps someday I’ll not be such an embarrassment to my squad! After an initial brief adjustment period, I very much enjoyed the improved control these thumbsticks offered. They felt more natural than the default controller thumbsticks and boosted accuracy as promised. I would consider them a worthy investment. Source: The sample of this product was provided by KontrolFreek. 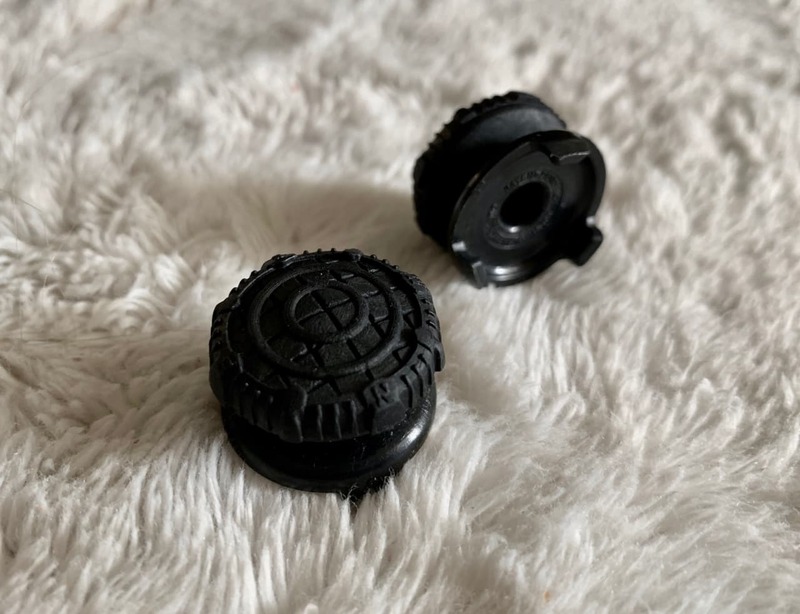 KontrolFreek FPS Freek Battle Royale Performance Thumbsticks review originally appeared on The Gadgeteer on April 17, 2019 at 9:00 am. Note: If you are subscribed to this feed through FeedBurner, please switch to our native feed URL http://the-gadgeteer.com/feed/ in order to ensure continuous delivery.